It's been quite a while since my last post. I had some issue with my internet and I can't even handle it anymore and I decided to buy new internet plan. Yeayy! I'm still in 'honeymoon' phase with this new internet plan but please bear with me. I have so many awesome things to review and to share with you my lovely readers. 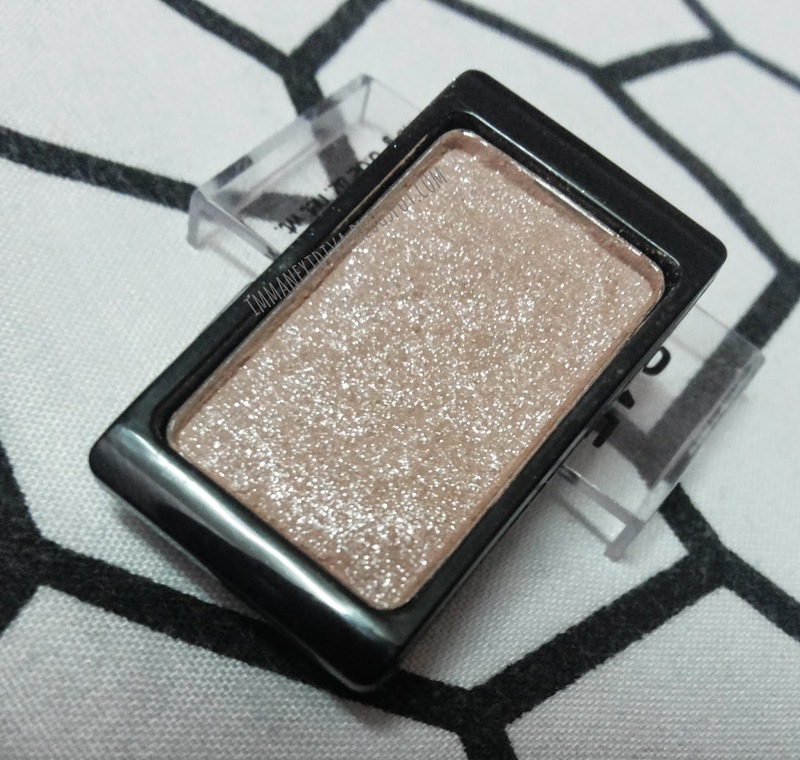 So today, I'm reviewing the Artdeco eyeshadow #345 which I'm absolutely in love with. Long story short, every time I go Sa Sa this particular eyeshadow I will swatch it on at the back of my hand and it took me quite a while to buy it because this gorgeous eye shadow contains loads of glitters which too me is too hot to handle for my everyday basis. So finally, on my graduation day I decided to wear this baby and couldn't take it anymore to annoyed the Sa Sa ladies and yes I finally bought it. Problem solved! The color is so unique. My phone camera does not pick up the color really well. This eye shadow has beautiful peachy pink pigment in it. It applies buttery smooth and the glitters make it extra special. Talking about the pigmentation, it is intense enough and the formulation is super smooth. Make me want to touch it all day. 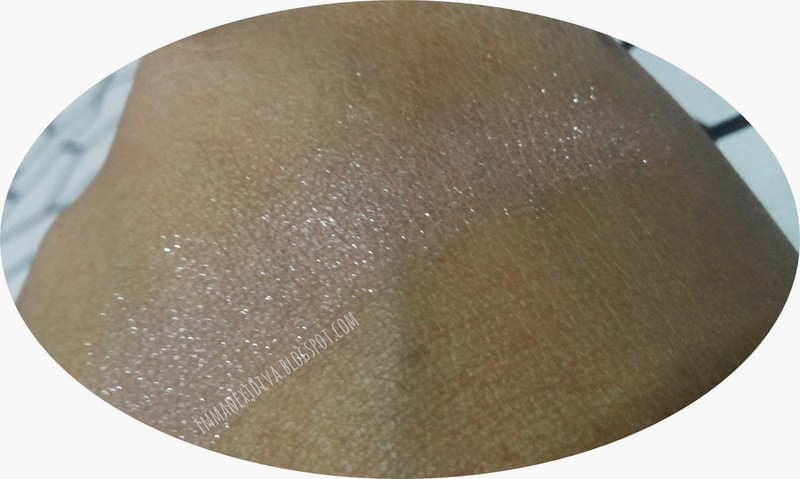 When I apply it to my lids I noticed the eye shadow has a little mauve-y base makes it totally looks like your skin color and makes the glitters sparkled beautifully on your lids. I'm not a huge fan of glitter on eyes but this eye shadow totally makes me out of my comfort zone, although the base color is 'safe' but the glitters that makes it everything! This eye shadow has magnet at the back of it and you can customized your favorite colors from the line. They also sell the palette and I believe you can only attach 4 eye shadows in it. If you want to try something sparkly but yet still look like 'you' I highly recommend this eye shadow. It is one of eye shadows that you are going to grab on your special day. In my case, my convocation day. Big day? Not sure yet. LOL. Thanks for reading and salam Ramadan to my Muslim readers! Yup! Pretty prettyyyyyy isn't it?